Mark: Hi governor, thank you so much for taking the time out of your busy schedule to chat with MTB Shorts. 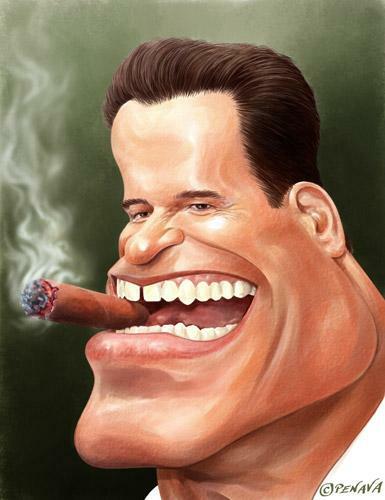 Arnold: No, thank you for this privilege to discuss an important matter, you puny looking man. Arnold: MTB is just like any other sport. You need to give 110%. I urge everyone to train harder. Failure is not an option. Everyone has to succeed. Mark: Okay, so what would be your advice to someone who wants to become a better cyclist? Arnold: *he flexes his arms* Get these two weapons of mass destruction right here. Mark: But what if the person doesn’t want to gain muscle mass and just wants to cycle for the fun of it? Arnold: Are you crazy? Who doesn’t want to have big guns? My body is like breakfast, lunch, and dinner. I don’t think about it, I just have it. So should you. Mark: Um…yeah…so next question, what would you do if you rode past a cyclist who needed assistance? Arnold: I’d wave and say, “Haste la vista, girlie man”. Mark: Alrighty then, well that’s about it. Any last words for our readers? *This interview is entirely false, because we all know politicians only give interviews to Larry King and Oprah (ugh!). This entry was posted in General MTB Stuff and tagged arnold schwarzenegger, cycle, cycling, funny, interview, larry king, mountain bike, mountain biking blog, mtb, mtb shorts, oprah, parody by mtbshorts. Bookmark the permalink.